Professional real estate photography for homeowners, agents, and retailer in Bangkok, Pattaya and all over Thailand. As a real estate photographer, I know how to make buildings look extra inviting. I provide images that give your prospective clients that unique view of your property. My ambitions are not only to depict the building in its entirety but also its functionality, design and attractive details. Professional real estate photographers are artists. They are people who harnessed their passion for shooting pictures and transformed it into their career. Similar to artists all across the board of mediums, they place a heavy emphasis on their artistic integrity. Professional real estate photographers take photos of houses for a living and have the knowledge and talent to effectively capture your homes most striking features. 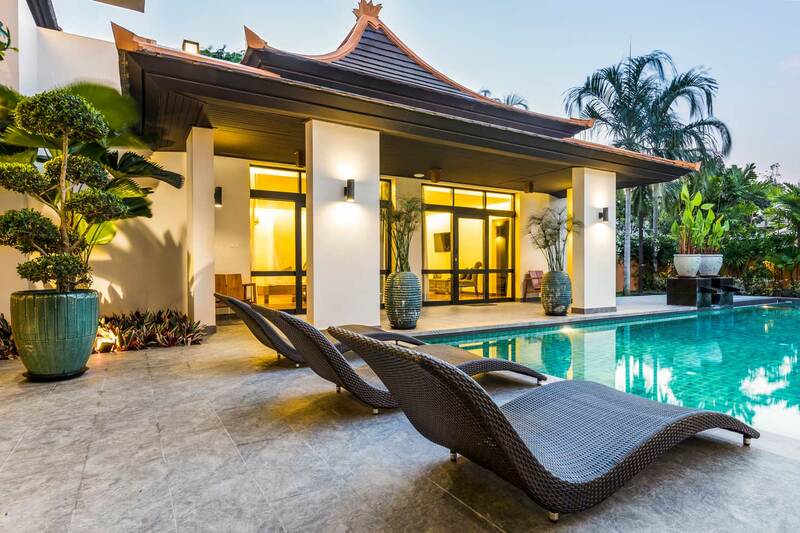 In short: professional real estate photographers will use their firm understanding of the medium and the real estate industry to make your house look so beautiful that it can drastically reduce its time spent on the market. I pay particular attention to choose the correct time of the day to shoot in optimal light conditions. Sometimes it’s necessary to include night shots or twilight shots in a set of images, there are buildings that look more amusing at night due to its surroundings. I process my images in such a way that slightest distractions like cables, phone lines, and unwanted glares and reflexions are cloned out of the image. Sometimes lighting effects and other processing techniques like sky replacements can also be applied to the photos for a better appeal.